If you are searching for Swedesboro commercial electrical contractors with a reputation for dependable workmanship, D.P. Murt Inc. should be your destination. D.P. Murt Inc. is located a short drive away in Pennsauken and provides comprehensive electrical and power contracting for entities throughout South Jersey. We are veteran-owned and have been in business for over three decades now, and our customers know they can count on us to finish the job properly, on time, and on budget. Commercial Services. Whether you manage a small office building, a large apartment complex or a busy restaurant, we can install a code-approved, more efficient power and wiring system to replace your existing, inefficient one. We can also design and build your facility’s necessary power supply, including installing state-of-the-art generators, HVAC systems and lighting equipment. Industrial Services. Our expert, highly trained technicians can replace or improve your power and wiring systems, enabling you to keep your workers productive and prevent crippling shutdowns. We are able to fully replace your generators, re-do power wiring, and handle most types of circuits, including UPS and emergency backups. We can also upgrade or install new security and fire systems, to keep your employees safe and to protect your business from theft. Institutional Services. D.P. Murt Inc. can assist you in saving energy costs with an energy conservation audit. In addition to energy saving improvements like efficient lighting installation, we are on top of the latest in green technology. We can help you keep things running with the latest in solar and wind power, and reduce your carbon footprint. If you’d like to learn more about how we can improve your power supply, click on “Services”, where you can view some of our completed work. Whether you need to improve your existing electrical system or completely replace it with a brand new one, D.P. Murt will get the job done for a fair price. Click here for a no obligation survey and to meet with our team, and find out why D.P. 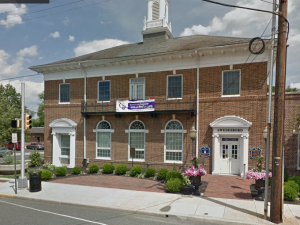 Murt Inc. is the reliable choice for Swedesboro commercial electrical contractors. We take care of the power, so you can take care of business.